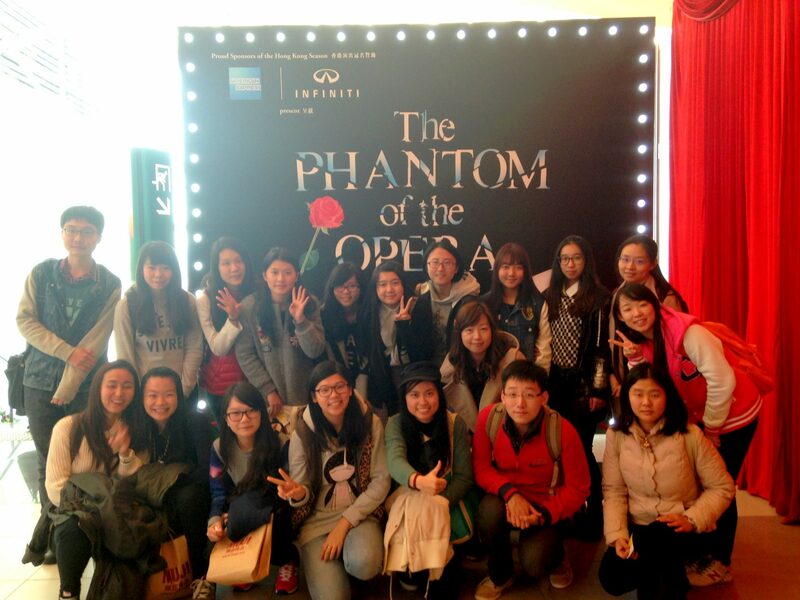 Stanley Ho East Asia College (SHEAC) kicked off the new year of 2015 with a trip for a group of 20 students to watch The Phantom of the Opera, a world-renowned stage musical by Andrew Lloyd Webber, at the AsiaWorld-Expo in Hong Kong on Sunday 4th January. This activity was organized by the Arts and Culture Working Group of SHEAC’s House Association, and led by Fellow Dr. Dennis Wang Ping-Cheng, Assistant Professor of the Faculty of Education, and SHEAC Resident Fellow Dr. Sancia Wan. Based on the French novel Le Fantôme de l’Opéra by Gaston Leroux, The Phantom of the Opera has won more than 50 major theatre awards. It tells a story about choice and freedom of love. 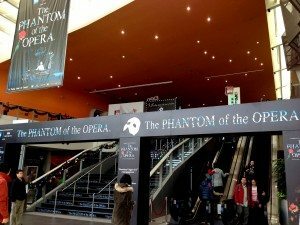 Its central plot revolves around a beautiful soprano, Christine Daaé, who becomes the object of obsession and passion for a mysterious, disfigured musical genius Phantom, the mentor of Christine; while Christine falls in love with her childhood friend Raoul. Therefore, a series of tangles, possession and murders are put on the stage. The students said that they were very excited about the musical. The voice of the soprano was so moving and appealing that they were intoxicated with it. The students were also very impressed by the wide vocal range of the Phantom. This great musical was really a visual and acoustic feast.